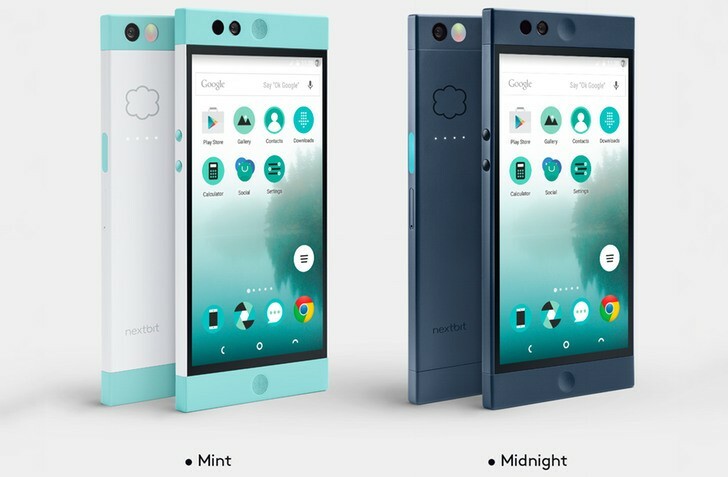 Nextbit launched It’s cloud smartphone Robin in india, Nextbit Robin will goes on sale for INR 19,999 on Flipkart from May 30, Pre-registrations starts today. The Nextbit Robin sports 5.2-inch Full-HD (1080×1920 pixels) IPS LCD display protected by Gorilla Glass 4, It is powered by hexa-core Snapdragon 808 paired with 3GB of RAM, The smartphone comes with 32GB internal storage(24Gb user available) which is non expandable But, The main feature of the smartphone is 100GB cloud storage. On photography front, Nexbit Robin comes with a 13-megapixel rear camera and 5-megapixel front shooter, On connectivity front it includes single SIM supports 4G LTE, Bluetooth 4.0 LE, Wi-Fi and GPS, The smartphone is powered by a 2680mAh battery and supports Qualcomm Quick Charge 2.0 and USB Type-C for fast charging. Other features includes NFC, fingerprint scanner, Which is located on right-edge of the smartphone. On software front, it runs Android 6.0 Marshmallow. The Smart Storage feature automatically backs up apps and photos, and archives the content you are not using regularly. It also lets you restore them by just tapping on the archived data.